The Scoop: Having attractive photos is incredibly important for online daters, especially on platforms that use swiping to determine matches. On average, singles spend 58 to 84 seconds looking at a dating profile, and more than 50% of that time is spent on the photos. Someone could put you in the discard pile simply for having a blurry photo or a group shot on your profile. LookBetterOnline is on a mission to stop that from happening to singles. This niche photography company gives clients access to professional-quality photos that will surely stand out on any dating site or app. Since the early 2000s, LookBetterOnline has performed over 12,000 photo shoots and earned a 99% customer satisfaction rating. Single men and women can use this professional service to improve their dating profiles and attract likes, messages, and dates online. Online dating platforms have given us the ability to study attraction and dating habits with more precision than ever before. Dating sites and apps have collected an enormous amount of data on how people search for dates, what they’re looking for, and how likely they are to get a response based on the content of their profiles. Because so many dating apps emphasize photos, a lot of information exists about the kind of pictures that generate the best response from online daters. OkCupid reported that photos taken in late afternoon tend to get the most likes on the site, and eHarmony found that medium-sized photos showing most of the person’s body tend to receive more interest than extreme close-up shots. Psychology Today recommended singles wear red in their online dating photos because study participants wearing red were statistically more likely to receive more messages than participants wearing other colors. 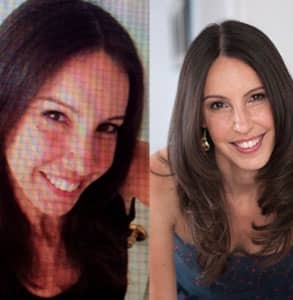 LookBetterOnline’s photographers can give the photos on your dating profile a fabulous makeover. That means no more sifting through old photos looking for one you don’t hate too much. You can hire a professional to capture your best side and upgrade your online dating experience. LookBetterOnline currently employs over 200 photographers in the US and Canada, but the company is rapidly growing to meet demand in the dating scene. What differentiates LookBetterOnline from the typical photography company is its focus on dating needs. The team’s goal is to get the client to loosen up and showcase their personality in the photo. The photographers have years of experience working with people individually and bringing out their naturally attractive qualities during a private photo shoot. The photographers take a range of photos to give the client plenty of options when putting together a dating profile. They’ll take pictures of the person sitting down and standing up, in casual clothes and in more formal attire, and with various facial expressions. Clients come away with 12 to 24 color final images ready to download and post on a dating profile. LookBetterOnline’s Platinum Package includes retouching and filters. After reviewing the photos from the photo shoot, a staff member will make recommendations on which to use in a dating profile to point clients in the right direction. A LookBetterOnline photo session includes at least two wardrobe changes and 12 final images. More singles than ever before are using dating sites and apps to meet people, and the demand for better tools to help online daters stand out and make a good virtual impression grows every day. That’s why professional photography services like LookBetterOnline have become more popular resources in the dating scene. LookBetterOnline boasts a 98% success rate for its photography services. The majority of customers who have uploaded their new photos to their dating profiles reported seeing an uptick in the number of messages and dates they received. The reviews are overwhelmingly positive. 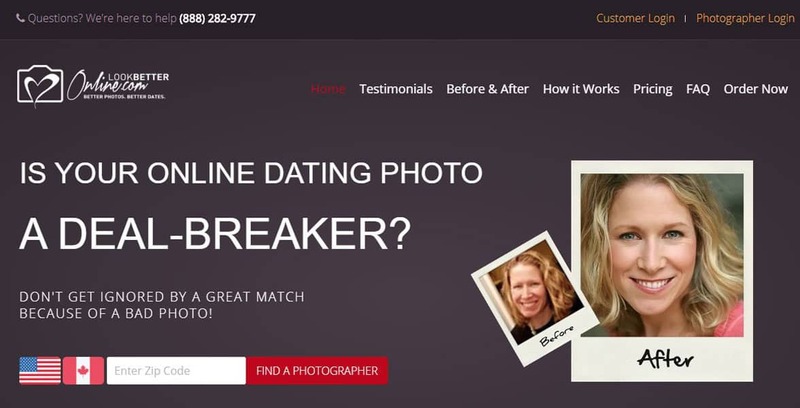 LookBetterOnline has raised the bar for online dating photos and helped its clients avoid a photo faux pas (such as posting a blurry picture) that turns potential matches off. The photography team has years of experience working closely with singles and making them feel comfortable being their authentic, attractive selves during private photo shoots. Anyone navigating the world of online dating can use this niche service to increase their odds of making a connection with someone on a dating site or app. LookBetterOnline’s long-term mission is right there in its name. The team wants to support clients on their dating journeys by helping them look better while online. “Our goal is to reach as many people as possible and present everyone in the best possible light,” James said.